People today are succumbing to the charms of heritage-listed homes and there are a number of great heritage listed areas in Sydney, ranging from Eastwood and Arncliffe to Strathfield and Parramatta. However, there can be a lot involved in renovating or restoring a heritage home, from finding experienced builders in Sydney, to installing the right flooring and, most importantly, knowing what changes you can and cannot make to a heritage listed home. Outlined below are some of things you need to be aware of when looking to fix up a heritage home. If you’re looking to buy a particular heritage listed property, or if you have already purchased one, it’s essential that you know the historical background of the property. Get in touch with the local council and a heritage adviser to find out the historical significance and value of your home. By knowing the historical relevance of the house, it will help you decide on what is required to restore it back to its original period, or if you want to renovate and incorporate some modern fixtures. It’s also essential that you research the laws regarding heritage listed properties and any specific regulations that apply to your residence. Familiarise your self with the EPBC (Environment Protection and Biodiversity Conservation) act of 1999, which will help explain the parameters of the changes you are allowed to make to a heritage home. The reason why you need to familiarise yourself with the property’s history and the heritage conservation laws is because homes that are heritage listed often have restrictions placed on them. These restrictions ensure that renovations or restorations have no negative impact on a place’s heritage value. When renovating or restoring a heritage home you have to write up a development management plan of all your intended changes to a home. This plan also has to be submitted to the appropriate government officials so it can be determined if your plans are going to have a damaging effect on the properties heritage value. When developing a management plan enlist the aid of professionals, such as a local historian, construction builders, interior designers, flooring specialists etc. so that they can help you ensure that your renovations are viable and not going reduce the heritage value of the property. A good development management plan (in combination with the advice of professionals) can also help you establish a budget. The budget will provide a rough idea of what your renovations are going to cost. When getting a group of professionals on board, such as builders, interior designers and flooring specialists, make sure that they have had previous experience in working on a heritage home. Renovating a federation or heritage listed home requires a certain finesse and knowledge, because you’re essentially working with foundations, fixtures and a structure that can be over a hundred years old. 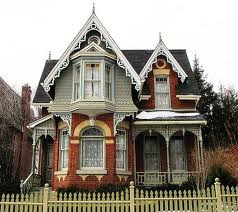 Heritage homes require more care and can require specialised materials or knowledge of older building practices. Whilst some heritage homes cannot be changed much, many heritage homes do allow for the inclusion of modern fixtures and features. Owners of a heritage home shouldn’t have to feel that are constrained to the historical period of the house. A great home can be established that retains the old world charm of its period and yet incorporates a number of necessary and comfortable modern features. Modernised bathrooms and kitchens can complement an old federation home well. The installation of modern floor materials (such as heated tiles) can also bring style and warmth to an older home. but heritage homes are really REALLY AWESOME. if i were rich, maybe i would have acquired one for myself, lol!